Investors, brace yourself. It's going to be a busy week on Wall Street. Republicans are poised to gain control of the House of Representatives and gain governorships in Tuesday's midterm elections. Also, the Federal Reserve is expected to announce another round of quantitative easing Wednesday, following the FOMC meeting. Major retailers are scheduled to report October same-store sales Thursday, while the October unemployment rate, which will be announced on Friday, is expected to remain at 9.6%. Toyota's (TM) fiscal second-quarter results will be one of the highlights on the earnings front this week. After three periods of way underestimating Toyota's earnings, have the analysts surveyed by Thomson Reuters got it right this time? The stock sure could use a boost. Teva Pharmaceuticals (TEVA) is in a similar situation; i.e., high expectations for this week's quarterly results but a stock in need of a boost. Marathon (MRO) and Starbucks (SBUX) are also expected to post strong earnings growth this week, but both stocks are riding high. Toyota announced a joint venture with Tesla Motors (TSLA) and began producing pickups in San Antonio during the past quarter. Analysts forecast earnings for that period come to 67 cents per share, which is up 77.6% from the same period of last year. The world's largest automaker is expected to post revenue of $61.6 billion for the three months that ended in September, or 26.9% more than a year earlier. Analysts also expect sequential and year-over-year growth of revenue in the third quarter. Toyota's long-term EPS growth forecast of 54.7% is better than those of Ford (F) and Honda (HMC). However, Toyota's forward price-earnings (P/E) ratio is a hefty 30.2. The PEG ratio is 0.55 and the dividend yield is 1.4%. The First Call recommendation (of only three analysts) is to buy TM. The mean price target is $87.00 per share. Shares have traded between $68 and $74 since May and closed the week at $70.82. That's well below the 52-week high of $91.97. For a third quarter in which Marathon increased production in the Gulf, the Houston-based oil and gas producer is expected to post EPS of 95 cents. That's up from a year-ago profit of 61 cents per share. And revenue for the three months that ended in September is expected to have risen 19.4% from a year ago to $17.3 billion. Looking ahead to the full year, analysts foresee earnings of $3.41 per share (+52.2%) on revenue of $66.0 billion (+21.8%). The per-share earnings results have topped analysts' expectations in three of the past four quarters, by as much as 29 cents. Marathon's long-term EPS growth forecast is 19.5%, which is higher than those of larger competitors Chevron (CVX) and ExxonMobil (XOM). Its forward P/E ratio is only 8.7 and its PEG ratio is 0.45. The dividend yield is 2.8%. The consensus recommendation is to buy MRO, and the mean price target is $37.87. The Motley Fool likes Marathon's cash flow. Shares have been trading near the 52-week high of $36.43 and are up 13.9% year to date. Analysts anticipate that Teva, the Israeli generic drug maker, will report that third-quarter earnings grew 29.9% year over year to $1.27 per share. During the three months that ended in September, Teva completed an acquisition and filed a complaint against a competitor, and revenue for that period is predicted to have risen 23.1% to $4.4 billion. For the full year, the forecast so far calls for earnings of $4.50 per share (+25.1%) and $19.2 billion in revenue (+17.3%). Earnings results have met or beat consensus estimates in recent quarters. The long-term EPS growth forecast for Teva is 13.7%, which tops that of competitor Watson Pharmaceutical (WPI). Teva's forward P/E ratio is 10.4, which is much less than the industry average. The PEG ratio is 0.74 and the dividend yield is 1.4%. Analysts on average recommend buying TEVA, and their mean price target is $67.71. Barclays reiterated its outperform rating in light of the stock's performance. Shares have traded mostly between $50 and $55 since May, meeting resistance from the 200-day moving average, and ended the week at $51.88. The 52-week high is $64.95. During the three months that ended in September, Seattle-based Starbucks saw coffee bean prices surge, continued to roll out its instant coffee and increased its quarterly dividend. The world's largest coffee retailer is expected to report that EPS for that period came to 32 cents, compared to 24 cents per share a year earlier. Fiscal fourth-quarter revenue is expected to have increased 14.2% to $2.8 billion. 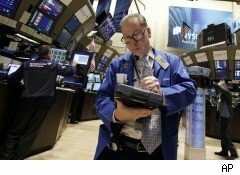 And analysts predict full-year EPS of $1.24 (+35.5%) on sales of $10.6 billion (+8.7%). Starbucks' results have met or beat consensus earnings estimates in the past five quarters, by as much as a nickel per share. Starbucks' long-term EPS growth forecast is 16.3% and its forward P/E ratio is 20.6, but that's less than the industry average and the trailing P/E. This dividend-payer has a return on equity (ROE) of 18.8%. The consensus recommendation has been to buy SBUX for more than 90 days, and the mean price target is currently $30.14. Some speculators are betting on a muted reaction to this week's report, though. Shares have risen 14.9% in the past three months and are trading near the 52-week high of $28.80. Analysts also expect to see strong earnings results this week from Boston Beer (SAM), CBS (CBS), Corning (GLW), Devon Energy (DVN), DirecTV (DTV), Newmont Mining (NEM), Washington Post (WPO), Whole Foods (WFMI), Wynn Resorts (WYNN) and many others. More modest earnings growth is anticipated from Clorox (CLX), MasterCard (MA) and Time Warner (TWX). EPS from BP (BP), CVS Caremark (CVS), Molson Coors (TAP), Pfizer (PFE) and Sirius Satellite (SIRI) are expected to be about the same as a year ago, while earnings declines are predicted from Aetna (AET), Archer Daniels Midland (ADM), Kellogg (K), Kraft Foods (KFT), Prudential (PRU), Qualcomm (QCOM), Transocean (RIG), Vulcan Materials (VMC) and WellPoint (WLP). Losses are expected from Clearwire (CLWR), Electronic Arts (ERTS), Scotts Miracle-Gro (SMG) and Winn-Dixie Stores (WINN). And if all that wasn't enough, also due out this week are the ISM manufacturing and services indexes; construction spending, consumer credit, pending home sales and personal income numbers for September; and new motor vehicle sales and factory orders in October.